One of the more indelicate realities of thyroid cancer is the near perpetual state of constipation. The removal of the thyroid inevitably results in hypothyroidism and if radioactive iodine treatment is required and you go the route of thyroxine withdrawal, it results in a state of hypothyroidism you wouldn’t wish upon your worst enemy. This degree of hypothyroidism slows down everything in the body. Absolutely everything, including bowel movements. We have likely all experienced constipation at some point or another, but this is a whole other level lasting weeks perhaps. It was actually the doctor who first discovered the lump in my neck who also came up with the first plausible hypothesis to explain a bunch of my symptoms – and it was all connected to my gastrointestinal system. I am constantly amazed by his genuine desire to understand what is going on in my body, and help me understand it as well. Isn’t this why people choose to go into medicine in the first place? Since I am hypothyroid, everything is essentially backed up, which explains my constantly distended stomach and nausea. The doctor was also trying to figure out why I developed a particular aversion to meat – chicken, beef, lamb etc. As far as we can tell, it’s just my body’s response to the constipation and nausea. All my medications probably aren’t helping either. We’ve been trying to figure out if I am gluten-intolerant but at this point, everything I eat results in a painful tummy ache, and I kid you not, a distended stomach that looks like I am about 5 months pregnant. My partner buys and cuts up papaya for me while my mother is a firm believer in the power of Metamucil. My love for them both means I balance the two while downing a healthy amount of probiotics and water. Warm water with lemon and ginger is great for the nausea. If all this is helping, I shudder to think what my situation would be like otherwise. Cancer is messy, and it is likely that few people know what the realities of going through it mean. Some movies help I suppose. Nonetheless, it is not socially acceptable to discuss one’s bowel movements in a catch-up over tea. I doubt having cancer exempts you from these norms, which is what compelled me to put all these thoughts down in this post. We don’t really understand the magnitude and the harshness of treatment on the body of our friend or relative living with cancer unless we are a caregiver. 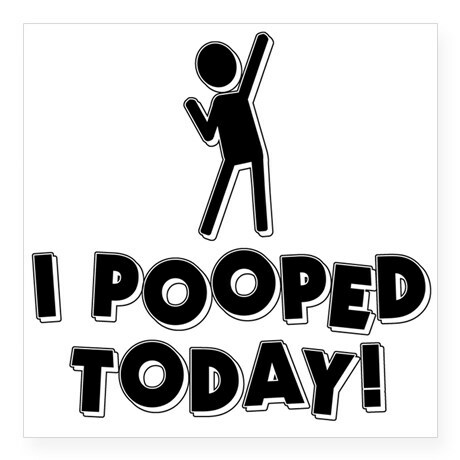 I’m not trying to say we should all start talking about our poo (although you can tell a lot about your health from it) this is just me trying to raise the level of awareness on the issues related to thyroid cancer and if constipation is a concern, I didn’t want decorum and societal taboo to stop me from discussing it. I think the only one I don’t have is perhaps the last bullet point. I have decided that I am never going through thyroxine withdrawal again as my body is not okay with this happening. So that means I’m going to start saving up for the expensive thyrogen injection for next year’s body scan. I’d rather my wallet take the next hit. I have started on Synthroid again, 150 mcg, but it will likely take another 3-4 weeks or so before my symptoms get better. Since this blog post deals with poo or the lack thereof, did you know there is a poo test to screen for colon cancer? There is a fun, animated, educational video about it. Hi Nadha, why not try cooking your food in coconut oil? It boosts metabolism and really helps loosen the stools. Get a good quality brand though. Another amazing natural supplement for constipation, insomnia, headaches and many other ailments which you may be experiencing is magnesium l-threonate. Make sure you get the dosage right though. Both these have made huge differences in our health. Also, if you want to avoid further constipation, stay away from anything made from wheat. It really does seem to cause a host of problems in the gut.